Hi! It's Nicole from Learning Lab here to talk about some alternative book projects your students can complete after reading novels and other books. 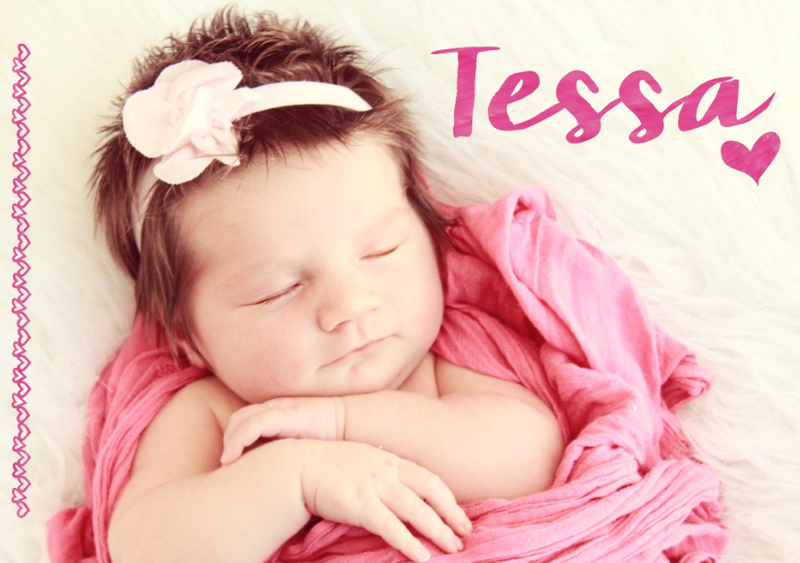 Before that, I want to share my newest little love, Tessa. She was born on October 21. She has a very mild manner but still has her nights and days mixed up. Her older siblings absolutely adore her. Now that you got a little baby fix, back to book projects! 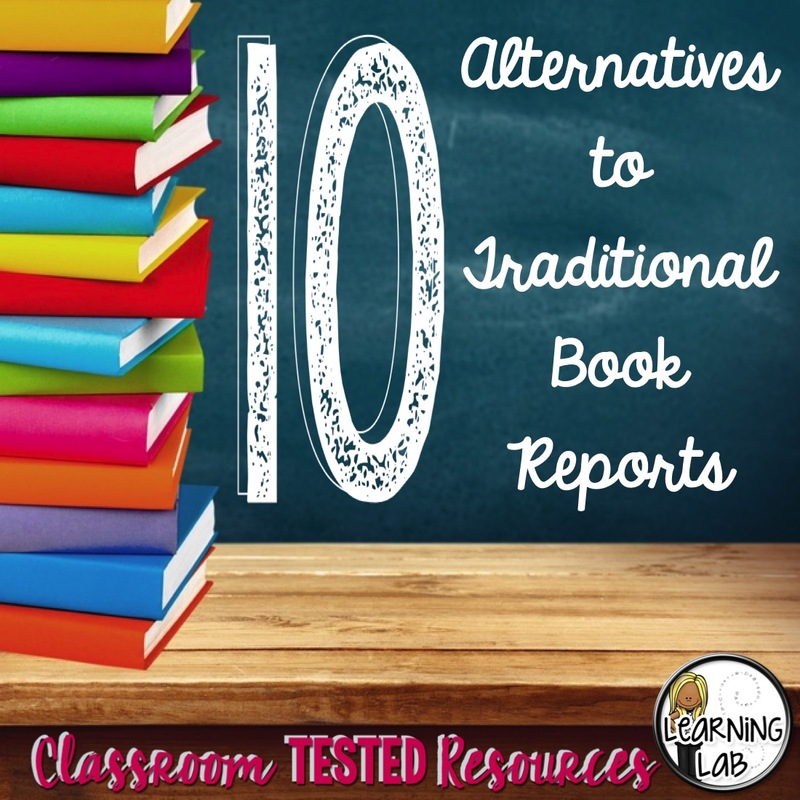 My students complained a lot last year about boring book reports. 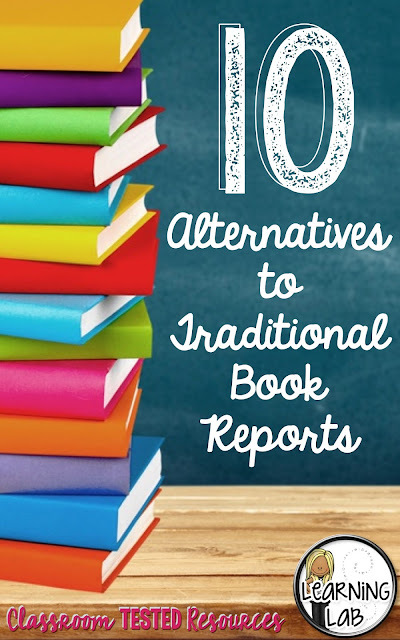 The ones that came with our reading program were terrible so I set out over the summer to create some exciting and fun alternative book projects. These book project ideas are a break from the traditional book report and can be used with any book! This one is pretty self-explanatory. The students can write a letter to the author. Depending on whether the author is alive or not, you students could actually mail their letter out! Wouldn't it be wonderful if they got a reply?!? All kids watch a lot of movies. They're exposed to movie posters every time they set foot in a mall or theater. The creativity you will see when they create a movie poster for the book they just read can be amazing! What kid doesn't love Diary of a Wimpy Kid or any other graphic novel? They're going to love creating their own comic strip using details from the book they just read even more! This is their chance to be honest about the book they just read. They can even give it a 5-star rating if they totally loved it! Timelines help kids practice sequencing and retelling. Timelines also have less writing and are more visual which is perfect for some of your kiddos! Your artistic kids will love redesigning the book cover. The catch is that they also have to rewrite the short summary on the back of the book too! Here is another visual project that will pull some of your readers right in! Imagine being able to see all of the places from your book on a map! Every book has a juicy part fit for the front page of a newspaper. Here is a chance for your kids to write an article retelling a specific event. Your kids will get a kick out of "interviewing" their favorite character. First, they will need to come up with some questions and then they'll need to answer them from the character's point of view. I find that when you add technology to just about anything, kids will gravitate towards it. I am sure they will love putting together a PowerPoint presentation all about the book they just read. What other book projects do you like to use with your students? I would love to hear your ideas! 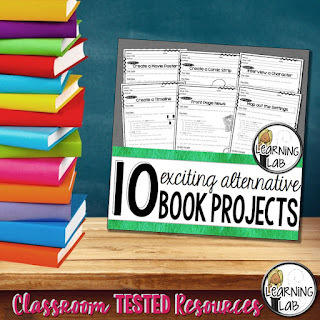 If you want to try alternative book projects in your classroom, I have expanded on these ideas and created directions sheets for each project for my students. Each project includes the task and the plan with detailed directions including "must haves" and "may haves". There is also a Do Not Forget section that give little reminders to keep your kids on track. 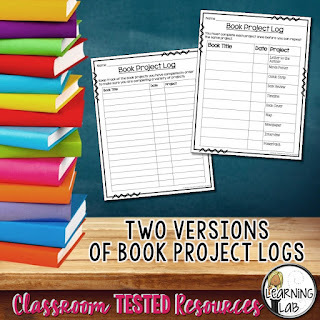 I have also included two versions of a log to keep track of which projects your students have completed. The first one gives them choice and they just log their choice. The second one lists each project and the student has to complete each project once before repeating a choice. Do you use interactive notebooks in your classroom? No worries! I have reduced the size of each page so that it fits right into an interactive notebook! Thanks for stopping by! 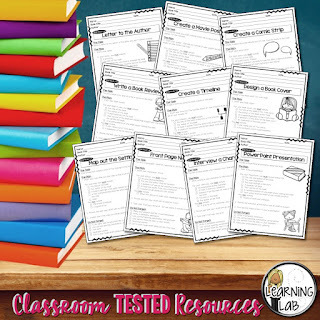 If you want to read more about how I use interactive notebooks with Read180 and pick up a freebie, you should check out this blog post. Thank you, Nicole. Precious baby and lots of great book report alternatives.